To the left are the connections for the Crickit with the Circuit Playground Express. Note: The black wire on the servo connectors always points inward towards the microcontroller and center of Crickit. The light wire: yellow, orange, white, etc. faces outward from the Crickit. Here is the Feather Crickit connected to four servos. 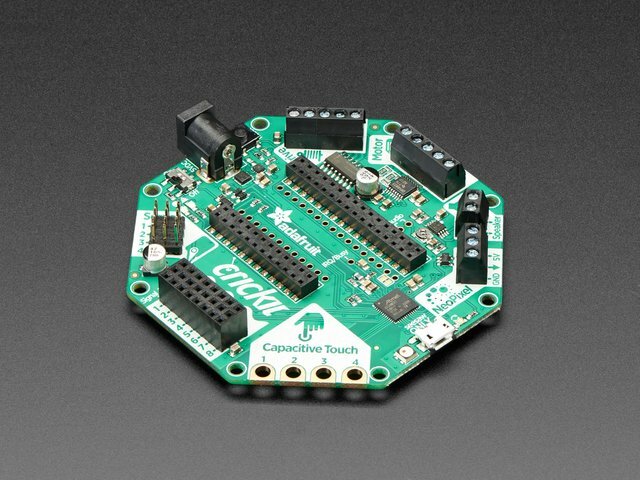 The Crickit HAT for Raspberry Pi can also control up to 4 servos like other Crickit boards. Note the location of the Servo header block with 4 rows of three male pins. Lets start by controlling some servos. 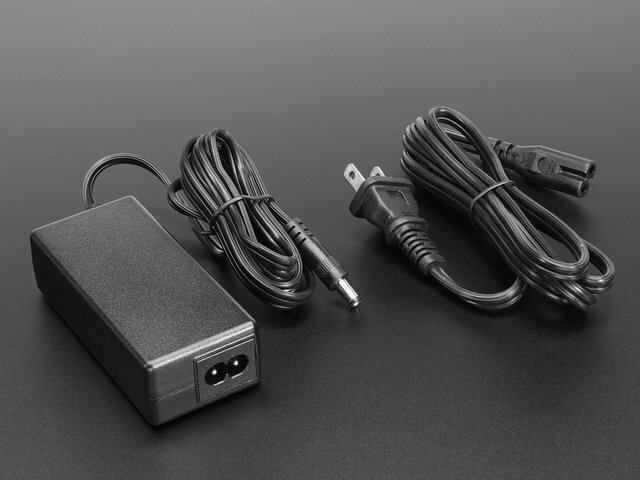 You'll want at least one servo to plug in and test out the servo code. 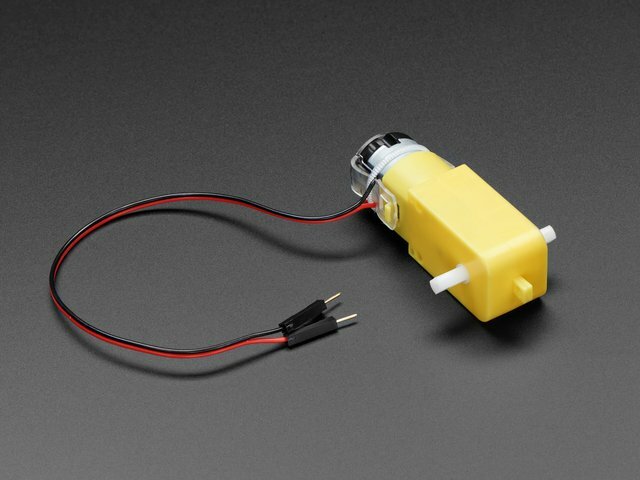 Visit our recommended servo page to check that you have a servo that works. 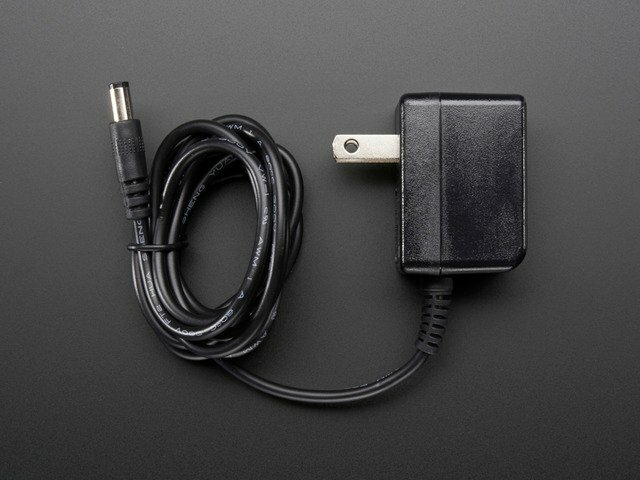 Once you do, plug in a servo into SERVO #1 spot, making sure the yellow or white wire is next to the 1 text label. This example will show rotating one servo from 0 to 180 degrees with a stop at 90 degrees. 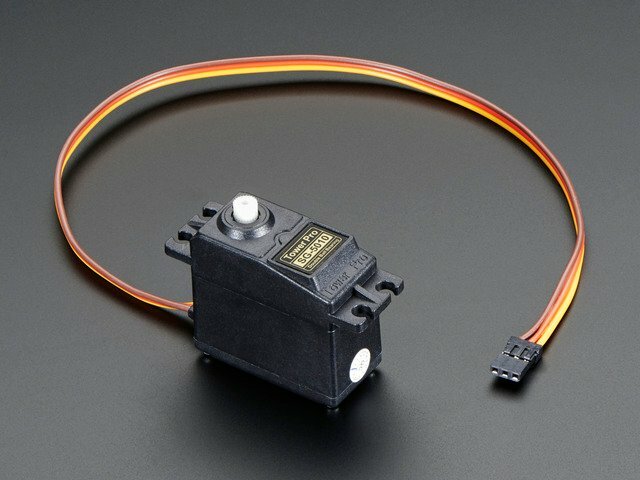 Are your servos not moving a full 180 degrees? Don't fret! This is normal, see below about min/max pulse lengths to 'tune' your servo! Now that we know the servo objects, we can simply assign the angle! crickit.servo_1.angle = 0 is all the way to the left, crickit.servo_1.angle = 90 is in the middle, and crickit.servo_1.angle = 180 is all the way to the right. 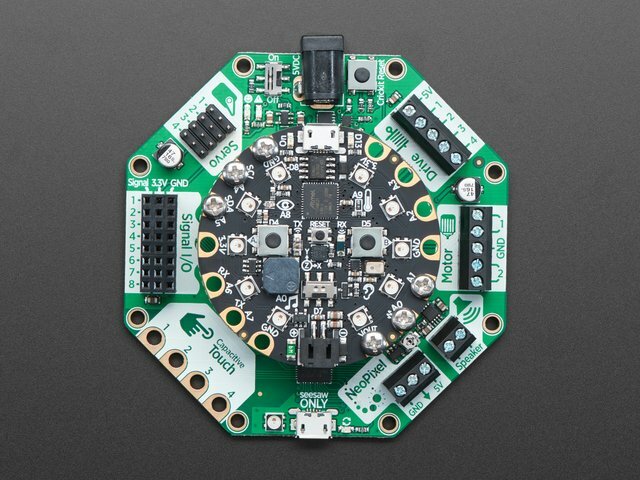 You'll want to test this to ensure it works with your specific servo, as 0 might be to the right and 180 to the left if it was geared differently. OK that was fun but you want MORE servos right? You can control up to four! Then we can access the individual using servo.angle = 90 or iterate through them as we do in the loop. You don't have to do it this way, but its very compact and doesn't take a lot of code lines to create all 4 servos at once! One thing to watch for is that if you use a list like this, servo is the name of the Servo #1 and servo is Servo #4! Originally servos were defined to use 1.0 millisecond to 2.0 millisecond pulses, at 50 Hz to set the 0 and 180 degree locations. 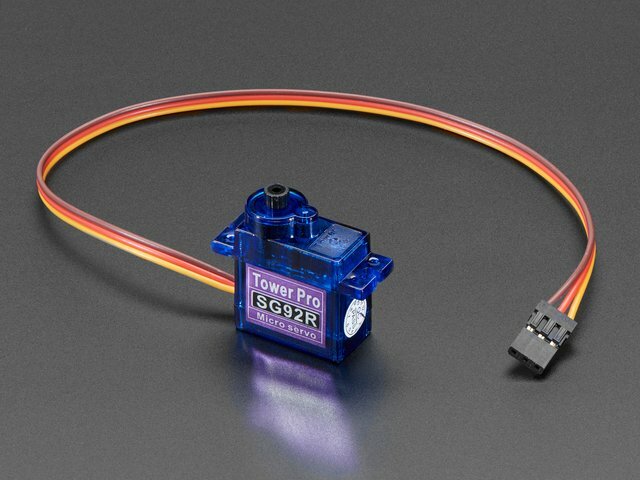 However, as more companies started making servos they changed the pulse ranges to 0.5ms to 2.5ms or even bigger ranges. So, not all servos have their full range at thoe 'standard' pulse widths. You can easily tweak your code to change the min and max pulse widths, which will let your servo turn more left and right. But don't set the widths too small/large or you can hit the hard stops of the servo which could damage it, so try tweaking the numbers slowly until you get a sense of what the limits are for your motor. The above is for Crickit Servo #1, you'll need to duplicate and adjust for all other servos, but that way you can customize the range uniquely per servo! Here we've change the minimum pulse from the default ~750 microseconds to 500, and the default maximum pulse from 2250 microseconds to 2500. Again, each servo differs. Some experimentation may be required! If your continuous servo doesn't stop once the loop is finished you may need to tune the min_pulse and max_pulse timings so that the center makes the servo stop. Or check if the servo has a center-adjustment screw you can tweak. This guide was first published on May 16, 2018. It was last updated on 2019-04-11 10:08:00 -0400. 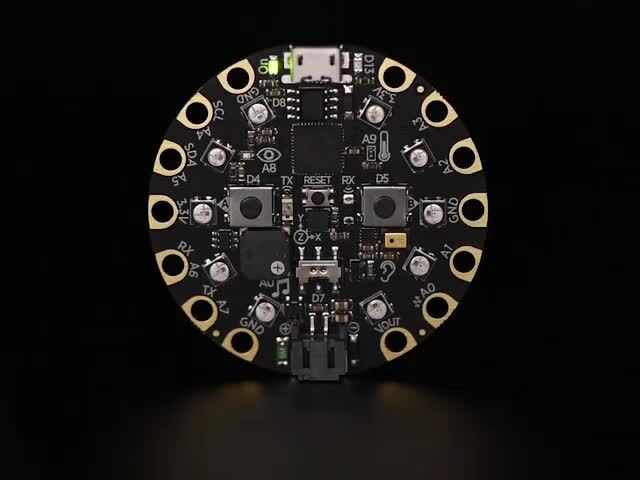 This page (CircuitPython Servos) was last updated on Apr 19, 2019.